The power of analytics is undeniable, but before moving your practice into the future you should know where you stand today. 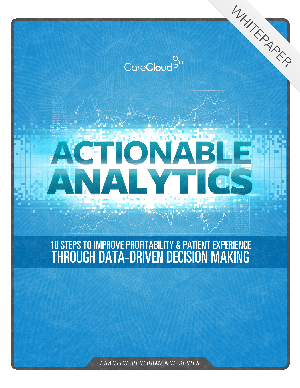 This whitepaper will teach you to implement a healthcare analytics strategy at your practice, which is essential to improving productivity, increasing profitability and improving patient outcomes. • Maximize profitability through data-driven decision-making, and more.